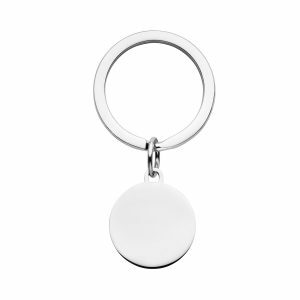 Sterling silver mini disc perfect for engraving an initial or symbol. 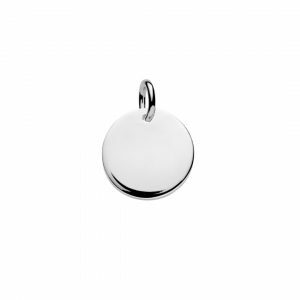 This 10m sterling silver mini disc can be paired perfectly with satellite chain or cable chain. 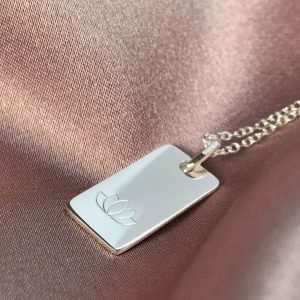 One word, name, initials or symbol can be engraved per pendant size. 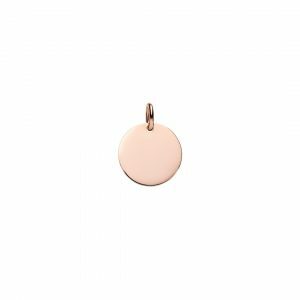 This delicate rose gold mini disc pendant is made from sterling silver plated with rose gold. 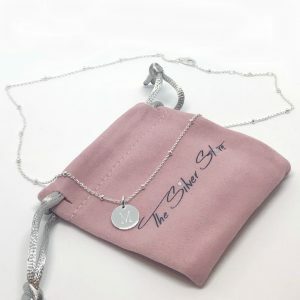 The pendant is 10mm wide and perfect for engraving one word, name, initials or symbol per pendant side and arrives in a velvet pouch ready for gift giving. Pair with a cable or satellite chain to create a beautiful necklace. Rose gold plated jewellery needs more care than solid gold, please read our care instructions. 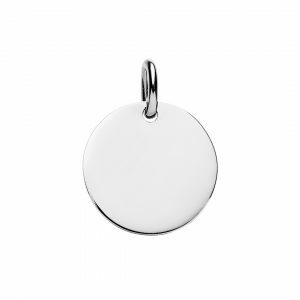 Engravable silver disc pendant. 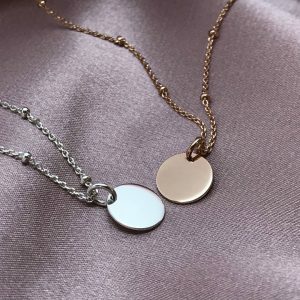 This circular sterling silver disc is the perfect back drop to engrave with your choice of text or symbol by using our easy engraving design tool. You can choose to personalise jewellery by engrave initials, names, dates, a message or choose from over 100 symbols. To engrave your pendant click “START DESIGN” button below. 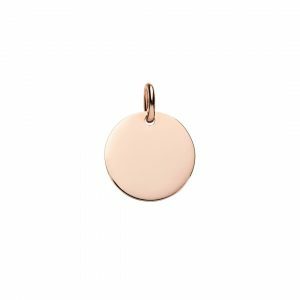 Engraved rose gold disc pendant looks gorgeous personalised with your choice of message or symbol. Complimentary engraving on the pendant, choose different text fonts or over 100 symbols. Click the “START DESIGN” button to design your pendant and preview what it will look when it is engraved. 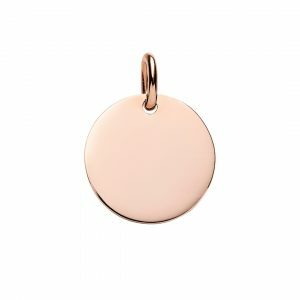 Match this disc pendant with one of our three rose gold chains to create a stunning necklace. 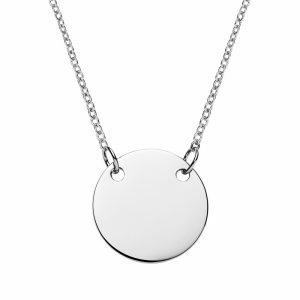 Our popular disc is now available in larger size solid sterling silver disc pendant. 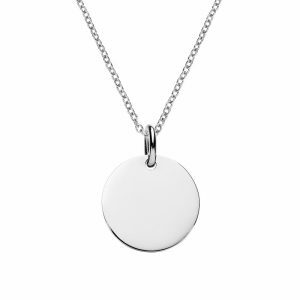 Personalise this large circle pendant by engraving any words or symbols. The large disc is 20mm wide and 1.5mm thick and can be engraved both sides with any text or images. Our popular disc is now available in larger sizes. 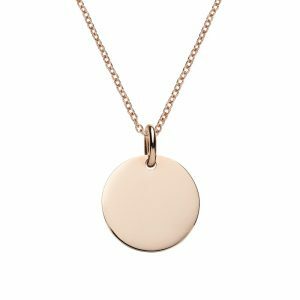 Personalise this large rose gold circle pendant by engraving any words or symbols. The large disc is made from silver plated in rose gold, 20mm wide and 1.5mm thick and can be engraved both sides. 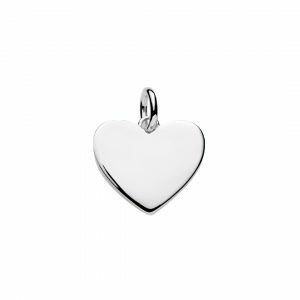 Engraved sterling silver heart pendant. Customise with your choice of text or symbol by using our engraving design tool. Popular ideas for personalised jewellery include engraving a letter / initials, name, dates, symbols or special messages. 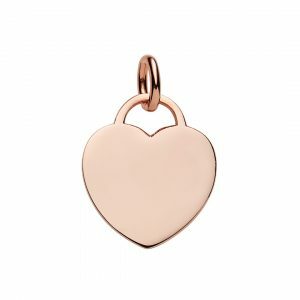 Beautiful sterling silver heart pendant plated with rose gold is gorgeous on it’s own or engraved. 17 mm wide and can be personalised with any text or symbols. 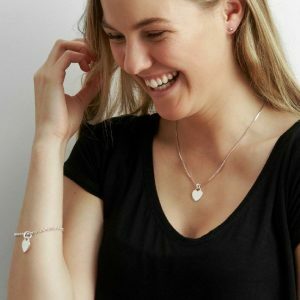 We designed this iconic sterling silver heart tag pendant as a combination of a heart and a padlock, inspired by the legendary Return To Tiffany key ring. 15mm wide, 1mm width , pictured on our sterling silver box chain. Personalise with your choice of text or symbols. 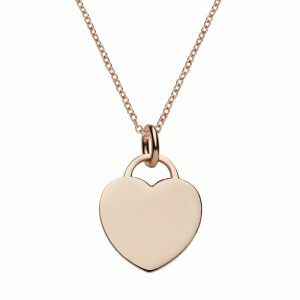 We designed this iconic rose gold heart tag pendant by combining a heart and a padlock, inspired by the legendary “Return To Tiffany” key ring. 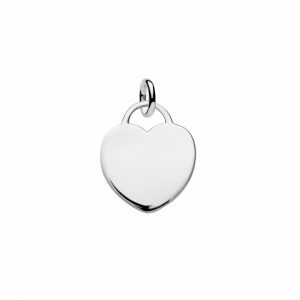 This heart tag pendant can be engraved with a name, initials, message or symbol of your choice. We have three different rose gold necklace chains to compliment this pendant. 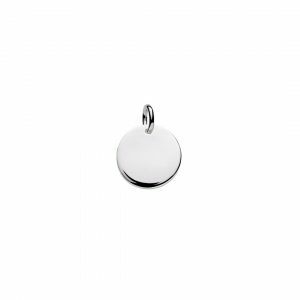 Pendant is 15mm wide in size and is made from 925 sterling silver plated with rose gold. Click the “START DESIGN’ button to quickly design your engraved pendant and preview what it will look like after it is engraved. 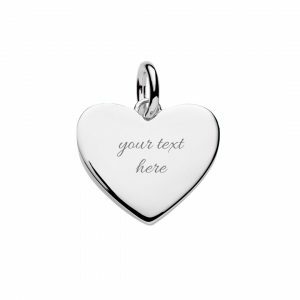 Customise this large sterling silver heart tag pendant by engraving any names, text or symbol. This pendant looks gorgeous paired with our silver rolo necklace chain. 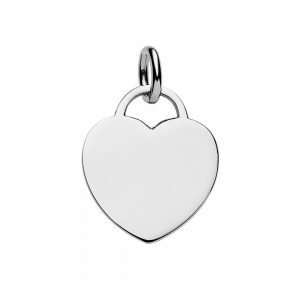 The heart tag pendant looks like a heart shaped padlock and is 20mm wide by 25mm high and 1.5mm thick. 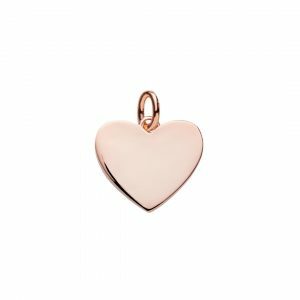 Our popular rose gold heart tag pendant is now available in a large size. 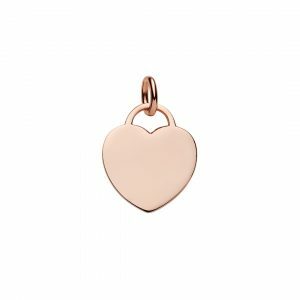 Personalise this large rose gold heart tag pendant by engraving any words or symbols. 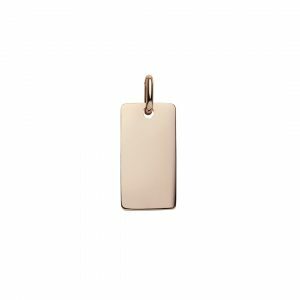 The large heart tag is made from silver plated in rose gold, 20mm wide x 25mm high and 1.5mm thick and can be engraved both sides. 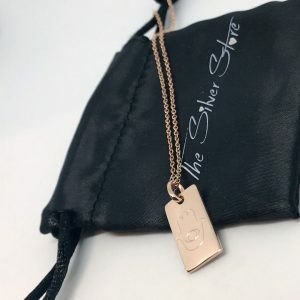 The rose gold bar pendant is perfect for personalising with a letter, name, date, text or symbol – add a rose gold chain to create a beautiful tag necklace. 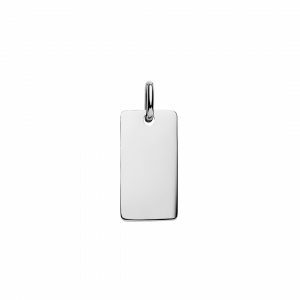 You can engrave both sides of the rectangular pendant. 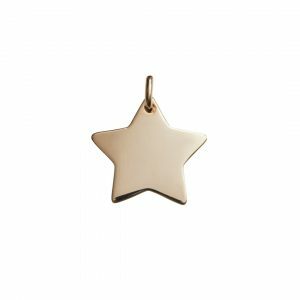 Eye catching rose gold star pendant made from quality sterling silver silver and plated in rose gold. This beautiful star can be engraved on both sides and looks amazing paired with our rose gold cable, box or rolo chain. Pictured on cable chain. 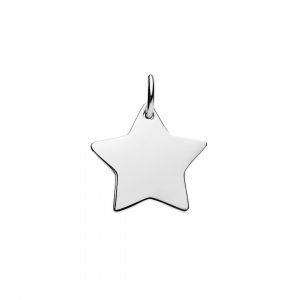 Decorative silver star pendant is a perfect back drop for engraving your special message, name or initials or symbol. Personalising your jewellery makes your “bling” matter. 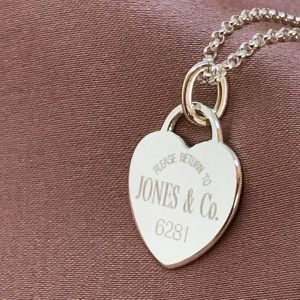 When searching for a little inspiration take a note from some of the most fashion-forward celebrities and add a personalised piece and wear jewellery engraved with the date of a special moment, a loved one’s name or even a location. Pair with one of our silver chains for an eye catching gift. Made from quality sterling silver, 16mm wide x 1mm thick. 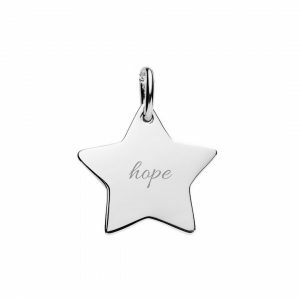 Silver star pendant looks beautiful engraved with inspirational words like “hope” ” or ” believe” it is also perfect a more uniquely shaped engraved initial pendant with a letter engraved in of 6 different engraving fonts. Inspired by the famous “RETURN TO TIFFANY & Co.” heart tag. Create own personal brand by adding your name and city / date! 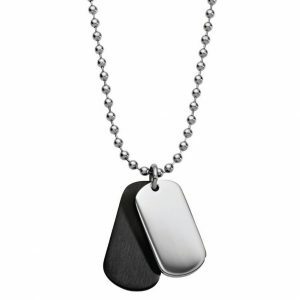 You can also engrave your own text or symbol on the reverse side of the pendant for an extra $5. To personalised the reverse side click “START DESIGN”. 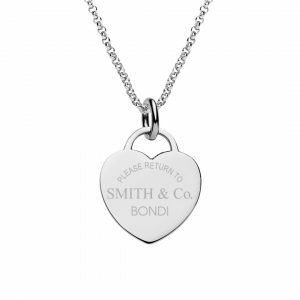 You can also choose to “please return to” on your pendant of not – see POTTER & Co. image as an example.